So in case you didn’t know, I’m actually in Ohio right now! I had a commercial shoot yesterday, two auditions today, and I feel a bit like a chicken with its head cut off. And…typing that little saying out…I’ve never really considered how gruesome it really is. Yikes. Love life update: I’ve been kind of “talking” with a gentleman caller. And in conversation, he admitted that he has no idea what my job is actually like. He knows I’m an actor, but he confessed that that whole industry is completely foreign to him. And talking to my mom, she admitted that, she, too, has no idea what my job is really like. So. I thought I’d pull back the curtain and share what it is actually like on a shoot. A few weeks back, I auditioned for the role. My agent called me up with the audition opportunity. I learned the script, showed up “camera ready” in jeans and a plain, bright colored T-shirt, handed them my headshot and resume and did my best. Anywho, last week, I got a callback for the role. I was already back in NYC, so I sent in a “self tape” and the next day, I got the call that I booked the job! So then, it was just prepping for the big day. I memorized the script all week, and the day before, I did my nails, a face mask, tried not to eat too much sodium, and got a good night’s sleep. So I showed up at a beautiful historic building downtown where the set was. You show up and are met by the “talent wrangler.” She introduced me to the director, producer, sound guy, camera men, clients, everyone. The whole time, I’m just thinking in my head — please let me remember their names!! The hair and makeup is always by “Craft Services.” Or “crafty” as it’s often called…which is everyone’s favorite place. It’s the table with the coffee, donuts, snacks, mints, fruit. — It’s basically it’s like walking into your best friend’s pantry, and finding all the goodies that your mother never let you eat in your own house. We’re talking candy, Little Debbies, there are always Dunkin Donuts. Sadly, most things aren’t on my Specific Carb Diet, so I always end up bringing my own food on set. Finally, it’s time for the commercial shoot. The name of the game is hurry up and wait. There are so many things to do before the director can actually yell “Action!” Like, putting on your microphone and adjusting the volume, adjusting the lights, focusing the cameras, practicing the cameras’ movements, adjusting the script for any last minute edits, perfecting the set, final hair and makeup touchups. You’ve got to exercise some major patience behind the scenes, all while being professional with a smile on your face. So then you finally perform the script. You give it 110% and perform your heart out. I always like to pretend that the lens of the camera is someone I care about — my best friend, or my brother, or a crush (if that’s the tone of the scene) — because it really helps make your delivery more natural. But during this, you take direction, make adjustments on the fly, and basically just have fun! — Albeit stressful and the-success-of-this-project-is-riding-on-you kind of pressure…it’s fun. And that’s a wrap! Everyone cheers, you shake people’s hands, sign release papers, pack up and go home! And it’s onto the next audition! There will be days where I literally swing by an audition on the way home from the shoot. You can’t let any grass grow if you want to be a working actor! Thennn the waiting game begins! It will usually be several months before you get to see what you actually produced, if you get to see it at all! Previous Post Piña Colada Cookies! Congrats on your shoot. It iz a great honor. By the way, you look great anyway. Hugs and too much love back to you. So excited to read your experience as an actor ! When I was young, 1000 years ago, I also did commercial work! It was a Cattlecall and an experience! I loved it 😍 Bravo to you for having the tenacity to hang in there! – Can’t wait to see you! Love your writing! Thanks 😀 same to you! Congrats on getting this gig! What other commercials / productions have you been in? I would love to see some! Aw! I just looked up you on Mother Goose Club and a music video! So cute! The constant rejection would have been pretty tough for me to take. I’ve had a couple jobs that were 100% commission, and the stress often made it difficult to do the job well. I loved acting, but I think the business part of it might have been more than I could handle! Email waiting for you with some news. So cute. The daughter of one of our friends is making a career of acting – though other than one small scene in a movie I don’t know what she’s been doing. Your post reminds me of how much fun or anxiety it might be. My sister appeared in an Apple Jacks television commercial she was always very calm and collected when put on the spot. You’re a rockstar! Seriously! And I have to say that I loved this blog post, because I’ve always been curious about what goes on behind the scenes. Thank you for sharing with us! I had no idea! 😄Thanks for the info and congrats! God bless you and thank u. I follow u on Instagram and Facebook because u could not follow you here. Congratulations, and hello from Ohio! Hugs and love back, and break a leg! Love the look with the glasses! Woah I had no idea this is what it was like to be an actor! I know someone who works in that industry, and it’s cool to understand her excitements and worries. Thank you for sharing, and congratulations on booking this role! By the way, how do you keep your busy schedule as an actor while putting in time for your blog? I am finding it hard to balance school and blogging. Hey Caralyn. Congratulations on another shoot. If those in charge, and making choices, have any intelligence and taste, you should receive a positive call, affirming the spot is yours. With the combination of beauty, personality, humour, and Intelligence you have, there should be no doubt as to who receives that gig. God Bless you, Good Friend! ☺️All that work for a few moments of screen time. Nice. Keep it up. And i thought it was tough to put in 18 hours for an hour of audio podcast. No make up required. Well done my friend, I like how you condensed what can be much more complicated than all of that. I commend you on the courage and perseverance it must take to endure this profession. Those animated pictures were so hilarious, you literally made my day. Looks like you survive on stress because meeting deadlines and trying to be perfect is a natural gift few have. But you obviously love it! 🙂 There comes a time though in any career when you reach a use by date. I’ve often wondered if the average actor, not the privileged super few, do for money when they reach that time and have to put bread on the table. In your case again it seems you have multiple streams of income which you could leverage if and when use by date occurs. What about others who don’t have your multiple talents? Wow, you’re living the glamour life!! Great job!! Is this Hollywood here we come? I’ll never view a commercial the same again, now knowing what goes on behind the scenes! It sounds as though it has a lot of parallels with freelance writing: writing your heart out, submitting, waiting, getting more rejections than acceptances–and the key is to move on to the next project after submitting. Thanks for sharing your “off-screen/getting-to-the-screen” perspective. And best wishes for more call-backs! Ever try for rolls across the lake in Ontario – Stratford Shakespearean Festival, Shaw Festival, Drayton Entertainment, etc.? Caralyn, I’ve had an inkling (drawn from others over the years who’ve lived parts of their lives before the cameras and on various sets – TV, movie, news broadcasts) of the kind of life you have detailed. Nevertheless, your description exhausts me! Wow! Praying you well. Carry on! Congratulations on your shoot. 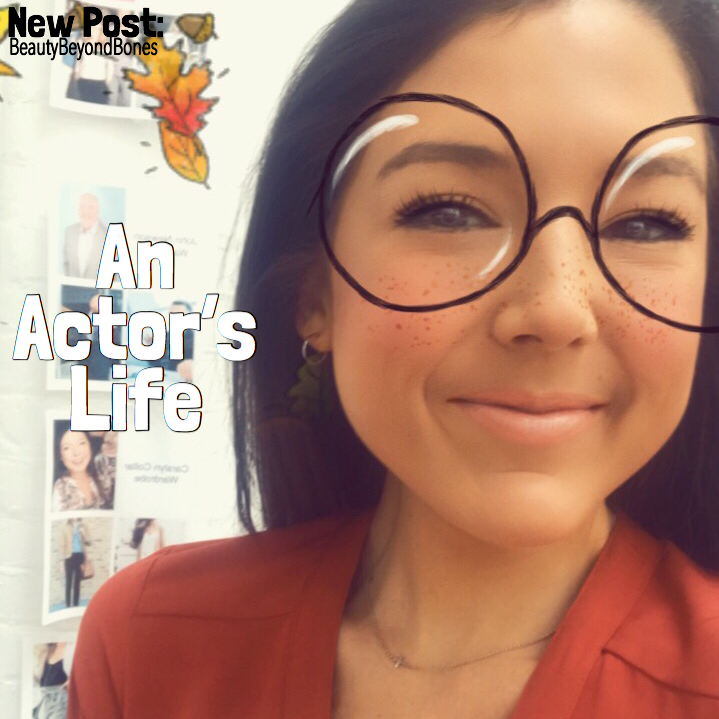 Thanks for sharing your “day in the life” of an actor. It’s always been fascinating to me. You definitely have the grace and talent!! Given the battles you’ve fought in life, it made me smile to notice how you are able to wade into fields like acting and writing where, as you say, you get many more rejections than affirmations. 2 Corinthians 12:9-10 in action. Ohio?!? I wish I could meet you! Acting sounds fun! This was so interesting to read good job hope the roles keep coming your way girl!! I know! Three years! So crazy to think about. Where has the time gone!?!? Seriously!?!?!? That was cool. Thanks for sharing that part of your life with us. You make it sound like fun, work, and just plain normal, all rolled up into one. You managed to reel me in with that recipe for the Pina Colada cookies! Thanks! Busy girl…I saw the bachelor link at the bottom that intrigued me..good for you choosing you over the latter clatter of drama trauma…at least from a moms point of view..id support my daughters in anything they chose of course..that one just seems so invasive for the soul..I say good choice..and love that you and your parents are so close,your a beautiful example of parent gratitude. Hugs right back atcha darlin! Hmmm I didn’t see it in there!! awww and it was such a good comment hahaha I jest. I am happy you got the job :):) I didn’t realize until your post the work that goes into it all. I was curious about you said, if you see the finished product. Do they not send you a copy, if that’s the proper term, or let you know when it will be out? Wow, see that part would be just as bad to me as the rest. But then again, as long as the check clears, all would be good hahaha. thanks for the insgihts. It was really fun to read. Would love to read more on this topic. 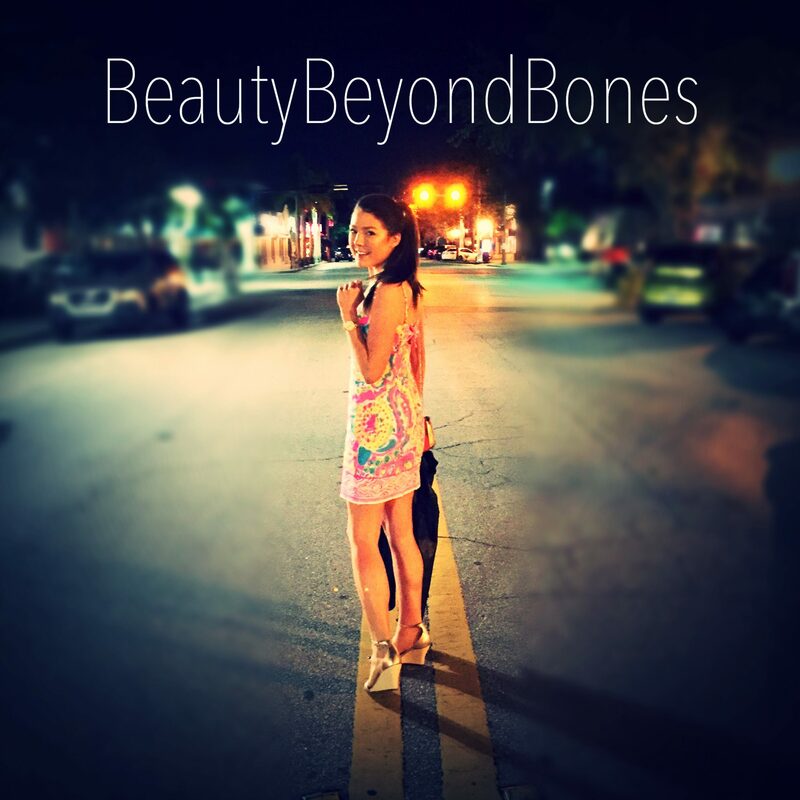 Can you share your journey of how you came to be an actress? I am also from a smallish town in Ohio. Dear friend Blogger this is the FIRST time my laptop took me to your site. I want to see your posts but I cannot buy a new laptop. I miss you not stopping by my Blog anymore. I did not “like” and did read anything because of technical problems. I pray my Laptop will start working better. I just used the CCleaner so, I hope. Please I miss you, LOL you have been good to m from the very beginning. Thank you. Thank you you gave me hope! Oh gosh not to worry!! Well-descriptive 🙂 Thank you for sharing ! Wow! I will add to the list of people who really had no idea! Proud of you for going on and on even with all the “No’s” you are one tough lady! OH and I hope it works out with the gentleman! Congrats, Caralyn! How stinking cool. This was suchhhh a fun read! I’ve always been curious about this lifestyle. Also, I love the urban decay setting spray- I practiced using it for my wedding & have had it ever since. So refreshing and I always feel like it’s the perfect finishing touch! Thanks! Yeah pretty crazy huh! My hat is off to you. Always loved the acting. Always hated the auditioning. You must be made of stronger stuff than I.
Congrats! It was awesome to read about your experiences as an actor. Also the hair and makeup room sounds like a great place to talk to great people! how do you look for acting opportunities?